Former President Jimmy Carter discussed the Carter-Baker Commission at American University on April 18, 2005. The Commission on Federal Election Reform functioned in part to examine the state of America's federal elections and recommend improvements. 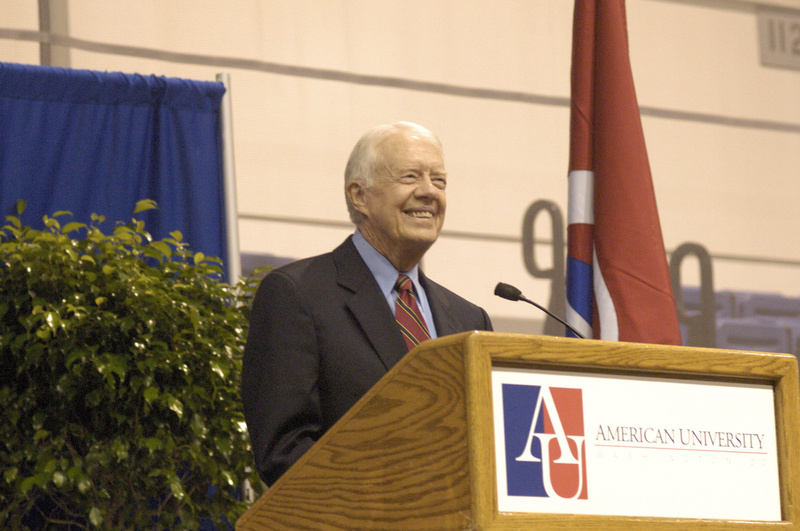 President Jimmy Carter and former Secretary of State James Baker co-chaired this commission in 2005 and participated in an open, town hall-style discussion at the Bender Arena of American University on April 18, 2005. Subsequently, Carter engaged in a discussion with students, staff and faculty. President William Clinton spoke at American University on September 9, 1997. 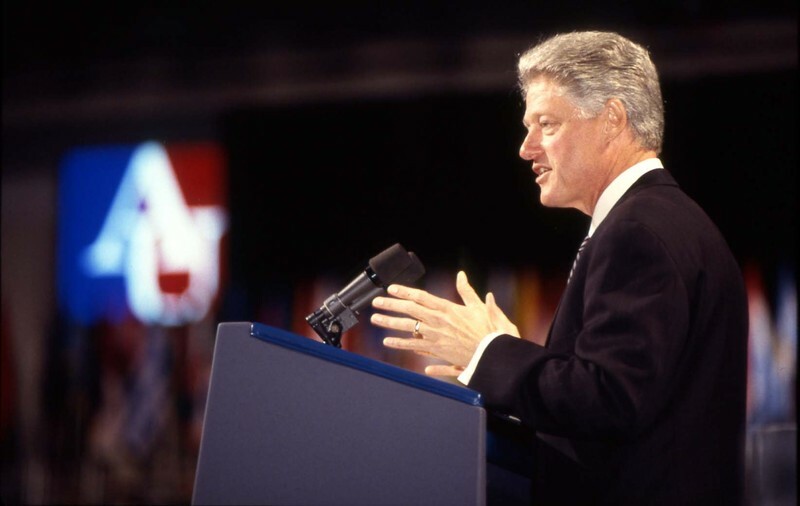 In President Bill Clinton's "Back to Work" speech in Bender Arena at American University in 1997, he focused on issues of equal access to education, national education standards and government efficiency. It was Clinton's second address to the University as President of the United States. At American University's Centennial Convocation in 1993, Clinton spoke about the importance of American leadership during times of global change. The University remembers him fondly and recently honored his knowledge of policy, his passion and influence by naming him American University WONK of the year in 2012. President Barrack Obama spoke at American University on July 1st, 2010 regarding Immigration Reform. 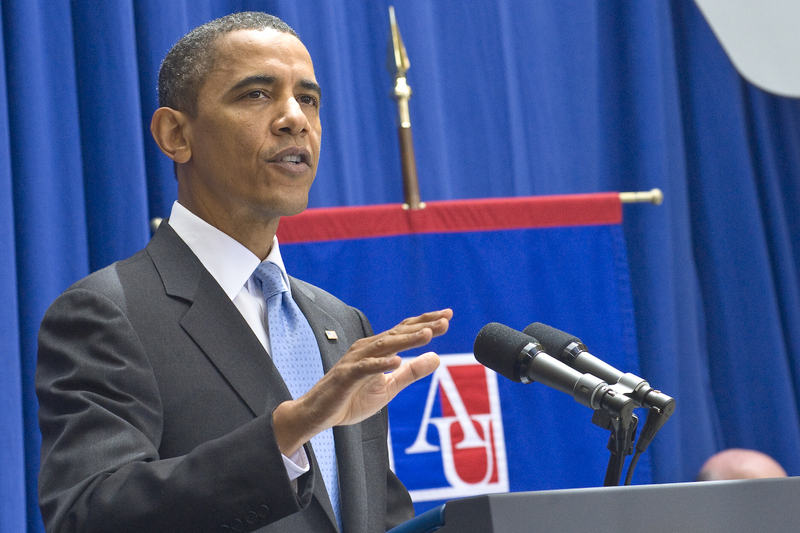 President Barrack Obama's speech at American University's School of International Service on July 1, 2010 served as a landmark in immigration politics. His call for comprehensive reform of immigration came at the end of a series of meetings with some of the largest Hispanic organizations in the nation including National Council of La Raza and League of the United Latin American Citizens. In the new School of International Service building (SIS) at AU, this speech continued the tradition set by former President Dwight D. Eisenhower who participated in the 1957 groundbreaking for the original SIS building.